Easily create personalised badges, keyrings and more with the button badge maker. 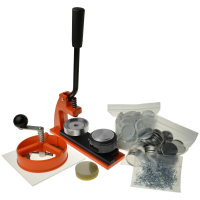 Badge makers are available separately or as part of a kit, which includes everything you need to get started. Choose the ideal badge machine for you. Create professional quality badges for weddings, parties, schools and businesses. Make your own badges, keyrings, magnets and more with the Enterprise Products button badge maker. The custom badge maker is easy to use and suitable for children and adults. Badge makers are available separately or as part of a kit. Choose the best kit for your needs, for schools, businesses, crafting, weddings and more. 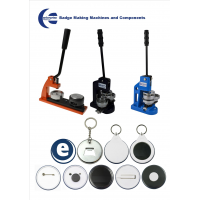 Enterprise Products is an international supplier of badge machines and components. Contact them today to become a distributor or to purchase a badge machine for personal use. 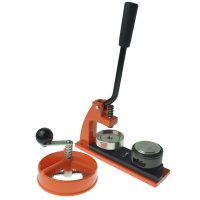 Why choose an Enterprise Products badge press? Experience: Enterprise products has over 30 years of experience manufacturing and supplying badge making machines internationally. 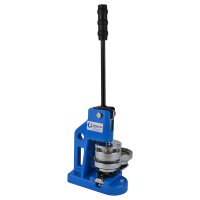 High quality: Solid metal construction and a one-year warranty ensure your machine operates reliably for a long time. Large range of accessories: Choose from a wide range of components and accessories to make bespoke badges, keyrings, medals, bottle openers and magnets. Fast delivery: Enterprise Products carry a large stock of components and provide fast delivery wherever you are. Customer support: Have your badge machine serviced and repaired whenever you need it. Contact Enterprise Products to find out more or to become a distributor of button badge makers in your country.